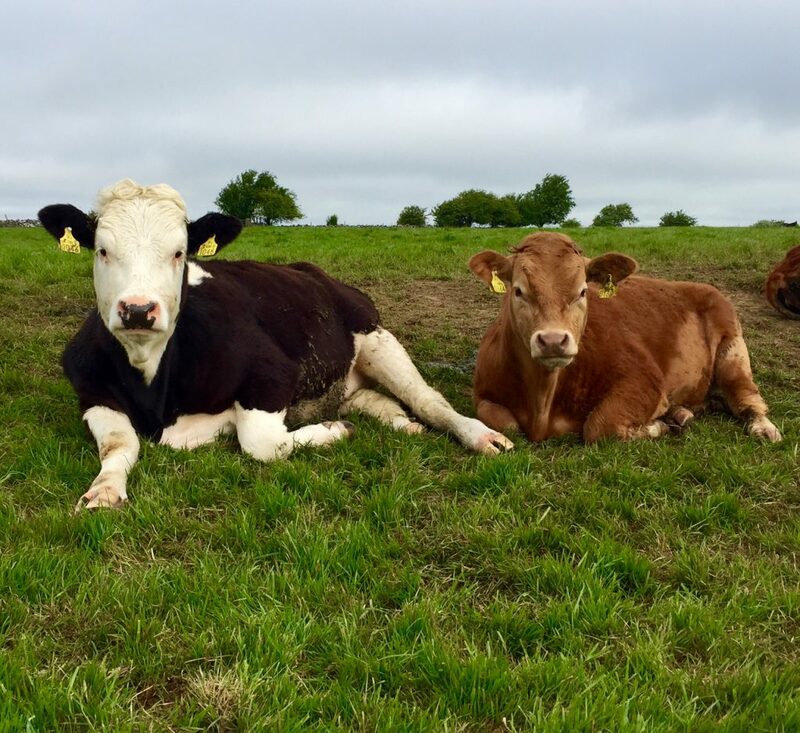 For the week ending October 11, 2015 the average R3 heifer price in the Republic of Ireland was 390.3c/kg; some 2.1c/kg below the EU average price, the Livestock and Meat Commission (LMC) has said. This latest heifer price for the Republic was back 12.9c/kg from the 403.2c/kg paid in the week ending September 13, 2015. 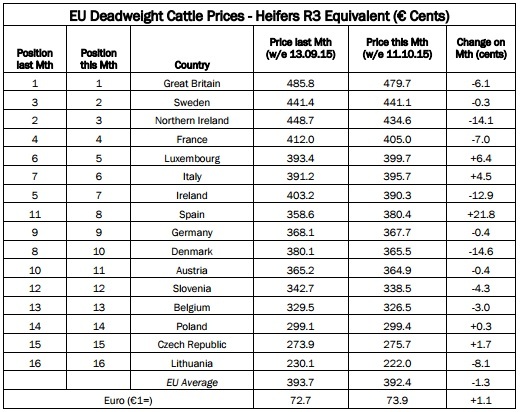 Ireland has held its seventh place spot on the EU deadweight cattle prices league table, according to the LMC. Northern Ireland also holds its third place spot after it was knocked out of second place two weeks ago by Sweden. 14.1c/kg from 448.7c/kg in the week ending September 13, 2015. 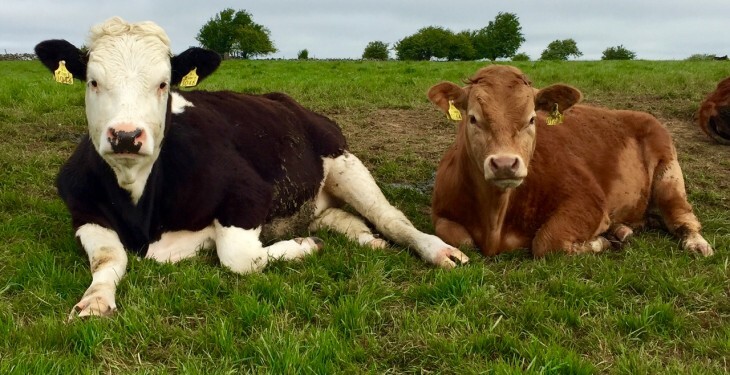 This latest heifer price for the North was 42.2c/kg higher than the EU average in the week ending October 11 compared to 55.0c/kg in the week ending September 13, 2015. The latest price from the Republic places it 44.3c/kg lower than the equivalent price in Northern Ireland. Britain has retained the top spot on the EU league table with an equivalent price of 479.7c/kg in the week ending October 11, 2015. This was a decrease of 6.1c/kg compared to week ending September 13, when it was the equivalent of 485.8c/kg. The increase in British R3 heifer price resulted in the British/EU price differential narrowing from 92.1c/kg in the week ending September 13 to 87.3c/kg in the week ending October 11.